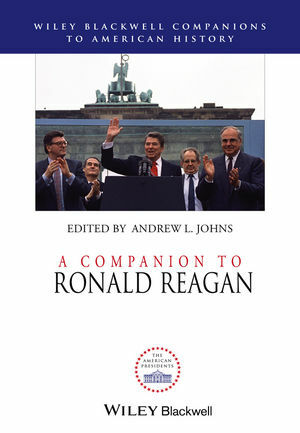 A Companion to Ronald Reagan evaluates in unprecedented detail the events, policies, politics, and people of Reagan’s administration. It assesses the scope and influence of his various careers within the context of the times, providing wide-ranging coverage of his administration, and his legacy. Andrew L. Johns is Associate Professor of History at Brigham Young University and the David M. Kennedy Center for International Studies. He is the author of Vietnam’s Second Front: Domestic Politics, the Republican Party, and the War (2010), and the co-editor of The Eisenhower Administration, the Third World, and the Globalization of the Cold War (with Kathryn C. Statler, 2006) and Diplomatic Games: Sport, Statecraft, and International Relations since 1945 (with Heather L. Dichter, 2014). He is also the editor of Passport: The Society for Historians of American Foreign Relations Review.